If you’ve come out from under a rock in the past few years, you have heard of the fast casual restaurant Chipotle. The company’s pillars of success are grounded in its ability to provide healthier and faster food options than its competitors. 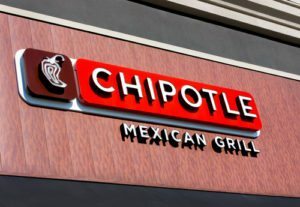 Despite controversies and (what some consider) “limited menu options,” Chipotle continues to thrive as one of the top fast casual restaurants with $4.5 billion in revenue in 2015. Plus it’s one of my personal go to spots. One of the restaurant’s biggest moves was its introduction of a mobile ordering option for customers. Chipotle started to become known for long lines as the company’s popularity grew in various cities across the country. To combat that problem, the Chipotle mobile app offered loyal customers the opportunity to literally skip the long lines to receive their orders. The app turned out to be a huge success and its use has grown rapidly over the past three years. So why should insurance agents hate the app? Chipotle’s app is schooling insurance agents on the best way to serve customers. When Chipotle launched their app, the core focus was to ensure that the app was very easy to use. This required the app to walk customers through the ordering process in a very similar way to their in-store experience–but faster. Chipotle’s very limited menu certainly made this easier. Takeaway: Insurance agents should make note that a mobile app should be informative, but not overwhelming with too much information and options. Include top-level information and access points for clients. The app should have what they need to reach you, the carrier, start claims, and access policy data. An app should be intuitive. Clients can self service the easy stuff, think Insurance ID card, and leave the complicated for live conversations. Whether a customer is seeking to review their auto policy or grab a burrito, it’s important to incorporate ease of use and collection of data into the pillar of your app. No carnitas available? Favorite location closed for renovations? The Chipotle app offers up-to-date push notifications to give customers relevant updates on local, regional and national levels. Takeaway: Insurance agents have this same capability. They can use push notifications to update their customers on policy changes, agency announcements and new products and services. In 2013, Chipotle discovered that its mobile app marketing efforts were lackluster. James Connelly, CEO of Fetch, said “the most important thing Chipotle needs to focus on regarding the mobile ordering experience is UI/UX and ease of use.” After tinkering around with the user interface and improving its marketing strategy, Chipotle re-introduced the app and waited to see what happened. By 2015, the company saw a 40% lift in sales and attributed most of the growth from mobile app usage by new and loyal customers. Takeaway: Having an app is great but most important is for it to improve the insurance experience. Agents should focus on creating and/or enhancing a marketing plan that supports and promotes the mobile app’s ability to streamline insurance needs and requests. It’s just as important for the biggest agency as it is for the smaller ones. You can easily do this by having CSR’s mention the app during service calls or by adding the mobile app logo to flyers and business cards. Customers need to understand that having the app on the phone is of great value to them in their moments of need. When you give your customers something that reminds and helps them see the value of their insurance policy, it improves customer satisfaction and retention. The bonus: the right technology improves the customer experience And agency productivity.